Is the Dragon Chess Camp a not-for-profit summer camp? Yes! The Dragon Chess Camp is hosted by the Maggie L. Walker Governor’s School Chess Club as a fundraiser to help cover the costs of team tournament play and travel. Our instructors are experienced players on the Maggie L. Walker Governor’s School Chess Team, supported by advanced players from the greater-Richmond community. The Dragon Chess Camp is organized by Maggie Walker student and parent volunteers. Does my child need to be a USCF Member to participate in the Dragon Chess Camp? 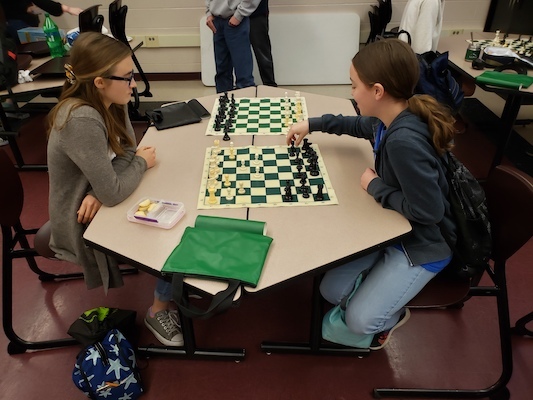 Membership is not required, however if your child wishes to participate in the VSCA-sponsored Maggie Walker Summer Scholastic chess tournament on the Saturday after camp, USCF membership is required for that event. See the VSCA website for complete details and registration information. Yes. Chess camp cancellations must be received before June 22, 2019 to qualify for a refund. As books, curriculum materials and t-shirts are purchased in advance, Dragon Camp will return all but $75 to cover these up-front expenses. Players dismissed from the camp for any reason will not qualify for a refund. Does the Dragon Chess Camp registration include participation in the Maggie Walker Summer Scholastic chess tournament? No. The Maggie Walker Summer Scholastic is a separate event administered by the VSCA. Separate registration and fees required. See the VSCA website for complete details and registration information.